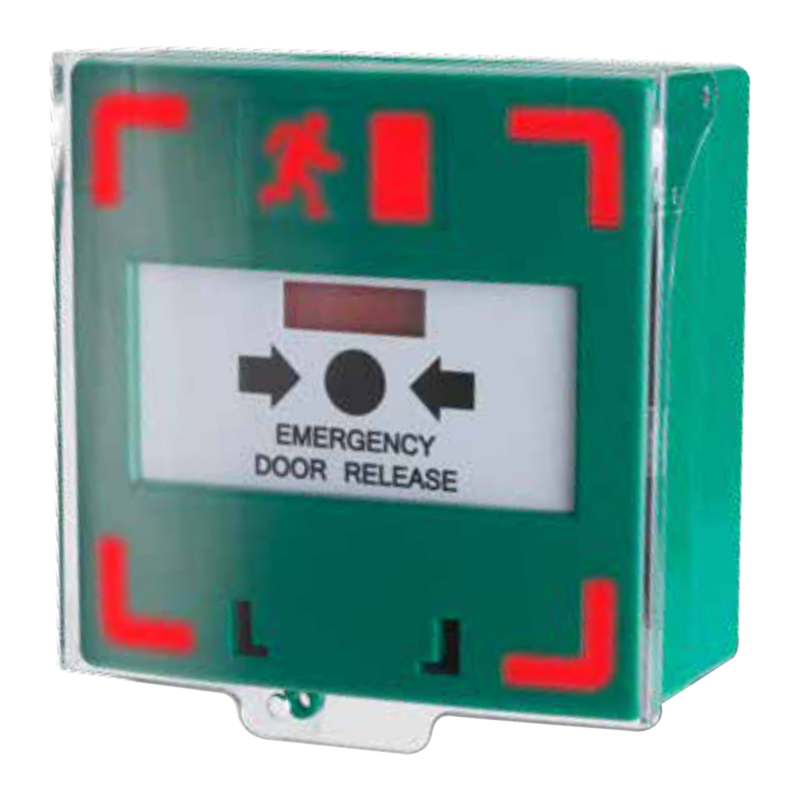 This polycarbonate call point cover from Asec is supplied with a choice of red or green housing shell & a glow in the dark frame, as well as an integral sounder. 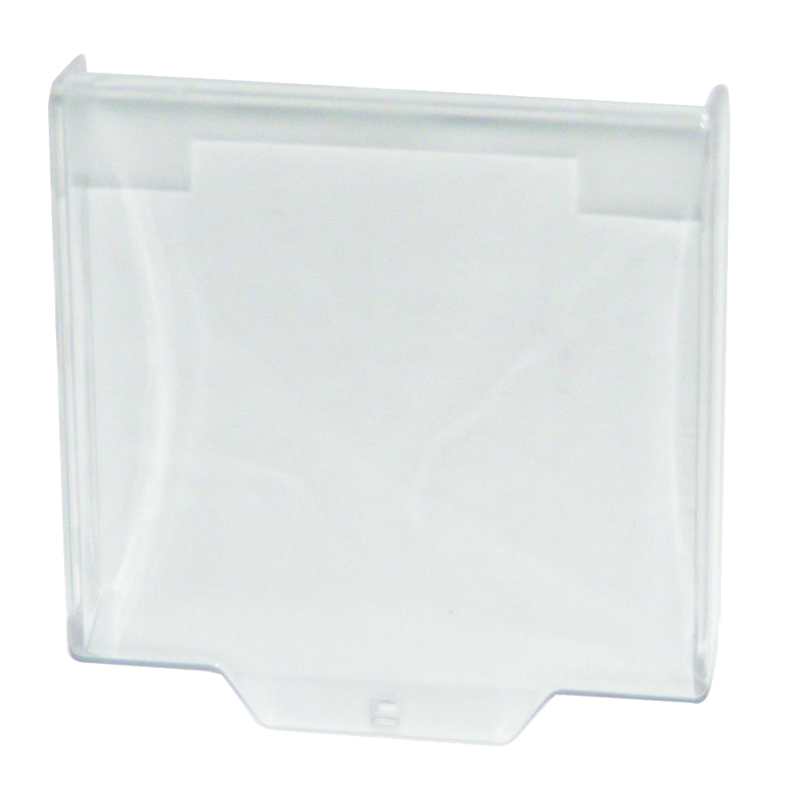 It is suitable for either flush or surface mounting and is ideal for retrofitting over an existing break glass call point. When the cover is lifted to gain access to the break glass call point, the battery powered sounder emits a 96db alarm to help dissuade pranksters & vandals. 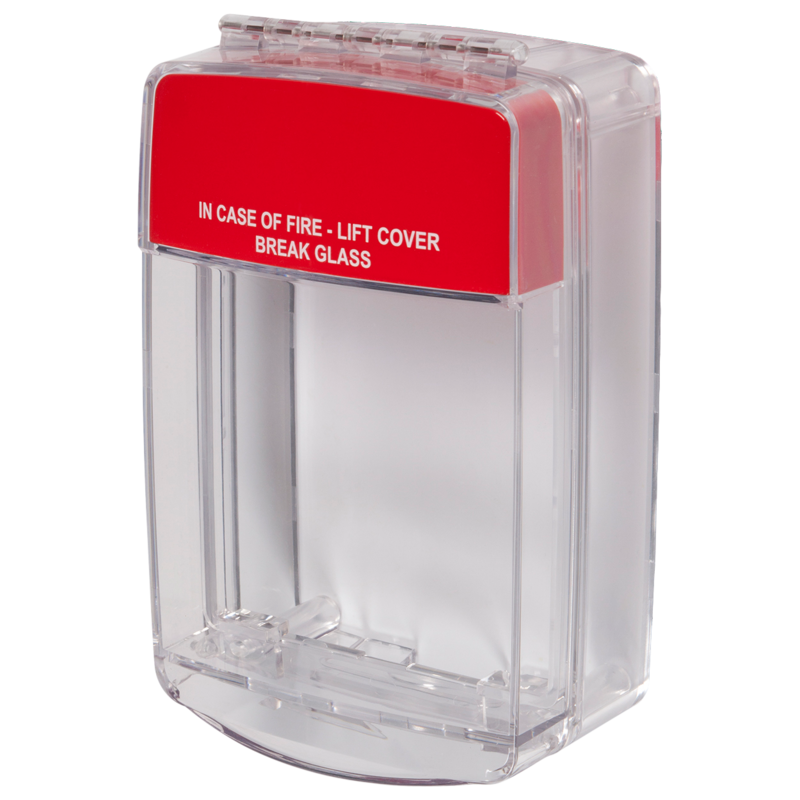 ideal for those busy areas where it is possible to accidentally activate a break glass call point. 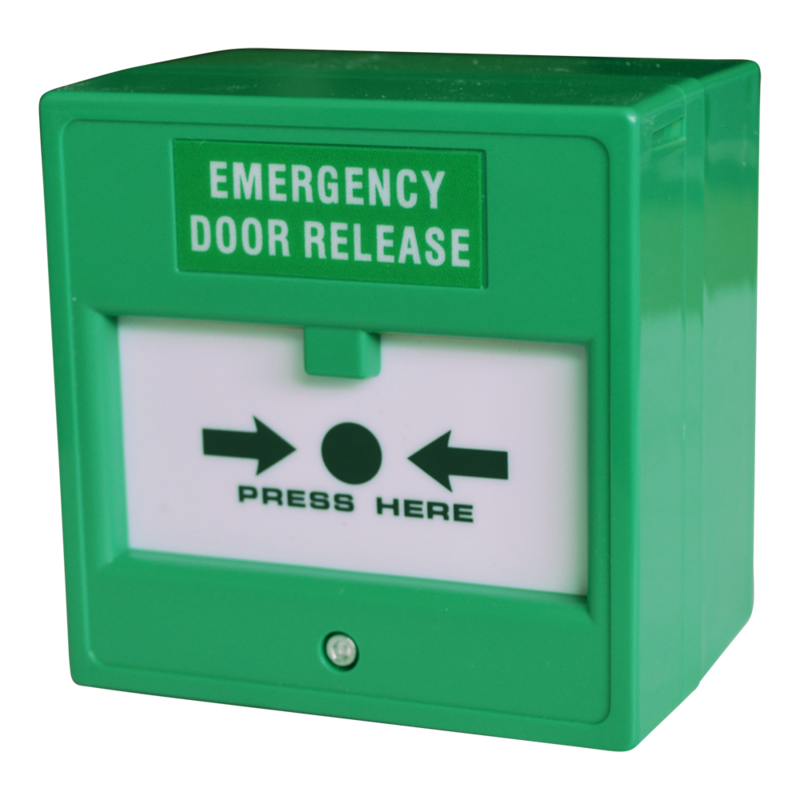 Emergency break glass / call point available in green. 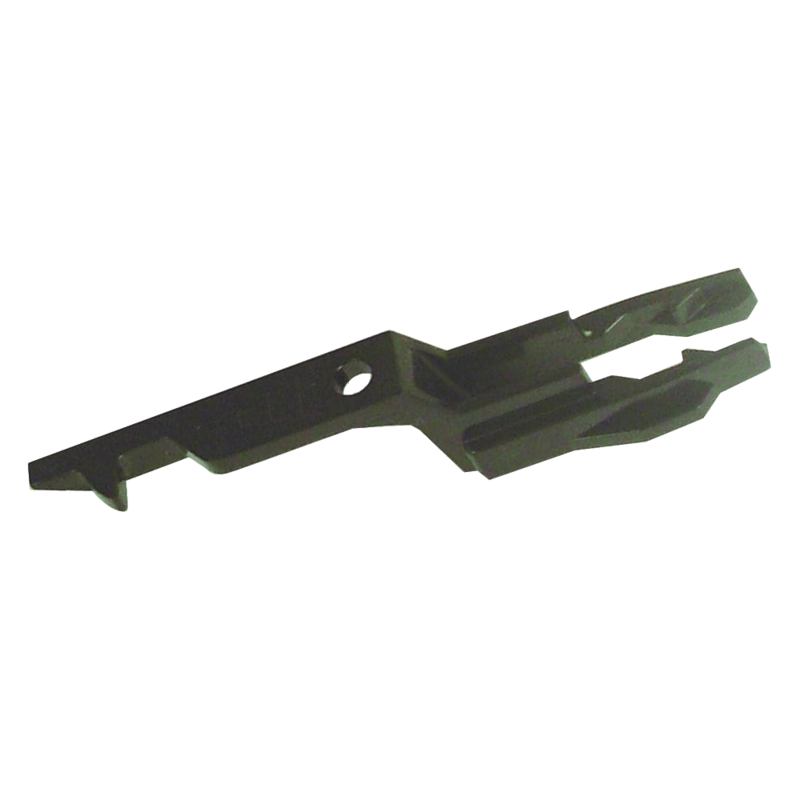 This ASEC Reset Key is made to suit dual unit and call point emergency door release products. 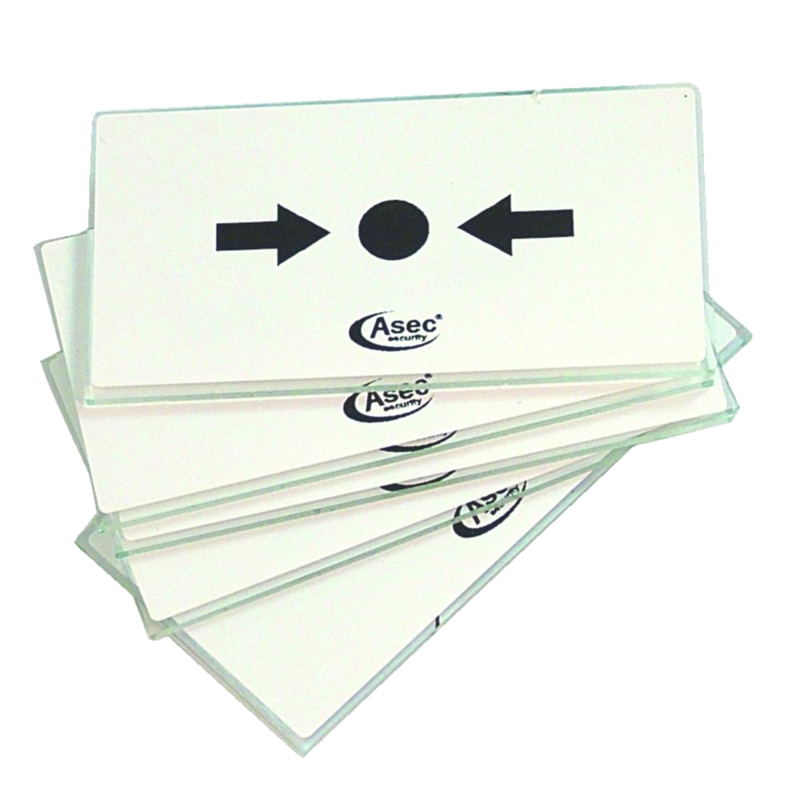 Sold as a pack of 10, this product is an essential addition to any purchase of ASEC call points. 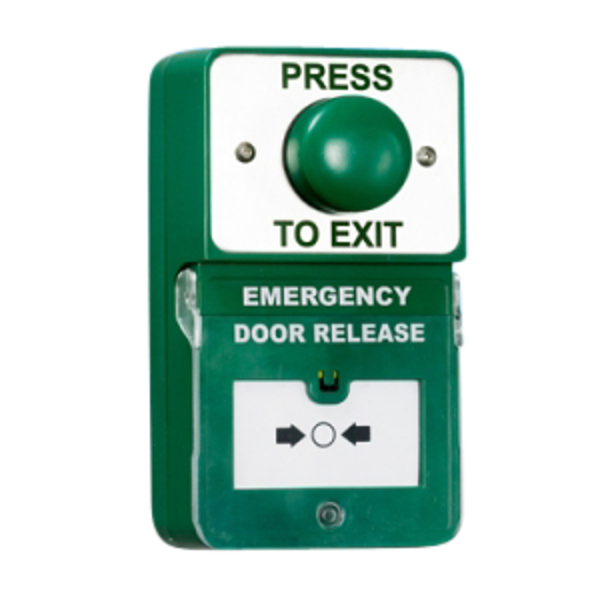 The ASEC Combined Exit Button and Call Point is a stainless steel unit with a `Press to Exit` dome button and resettable call point on an ABS green plastic back box. The ugreen dome button is clearly labelled and features flush fit fixings, for a neat and professional finish. 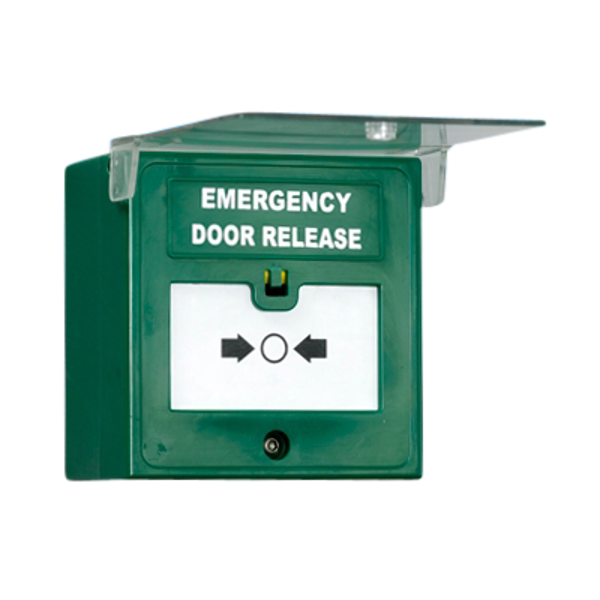 This green plastic emergency door release call point by ASEC is double pole and fully resettable using the reset key, featuring both buzzer and LED indications as well as a protective plastic cover. A green plastic resettable surface mounted external triple pole call point. 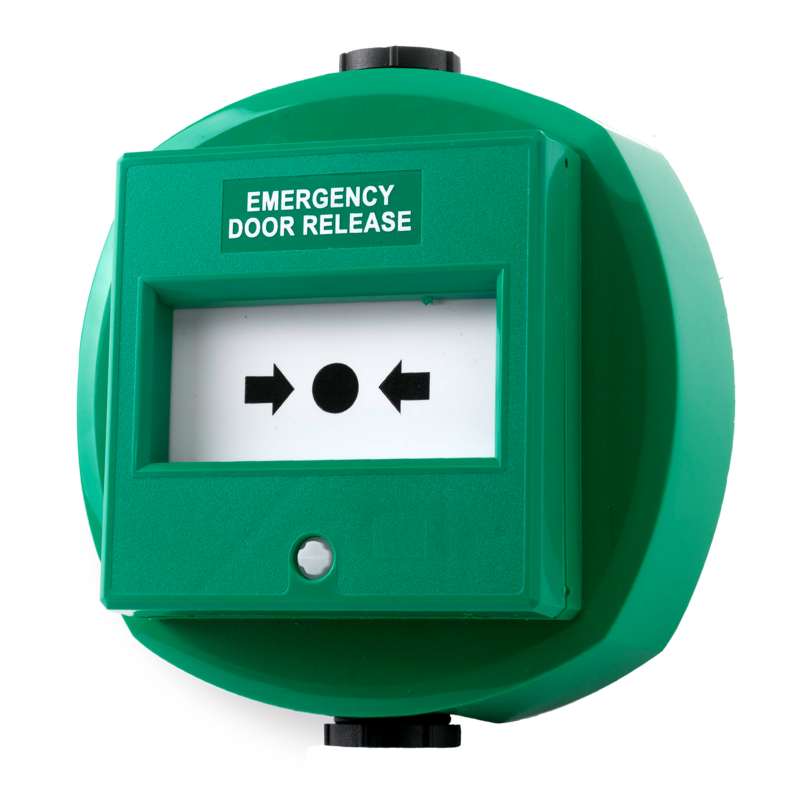 This triple pole, resettable green plastic call point from Asec features an LED status indicator and an adjustable alarm volume. Replacement Laminated glass for Asec call points. 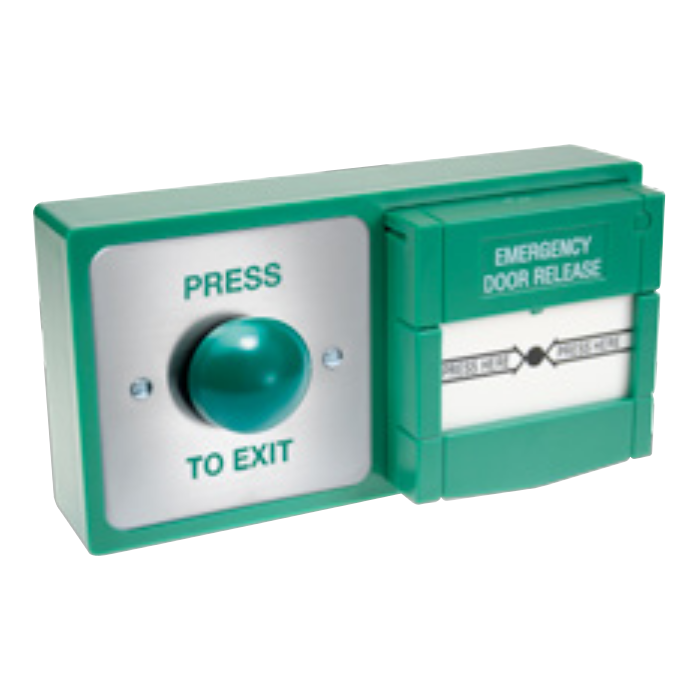 Service key to test fire alarm call points. 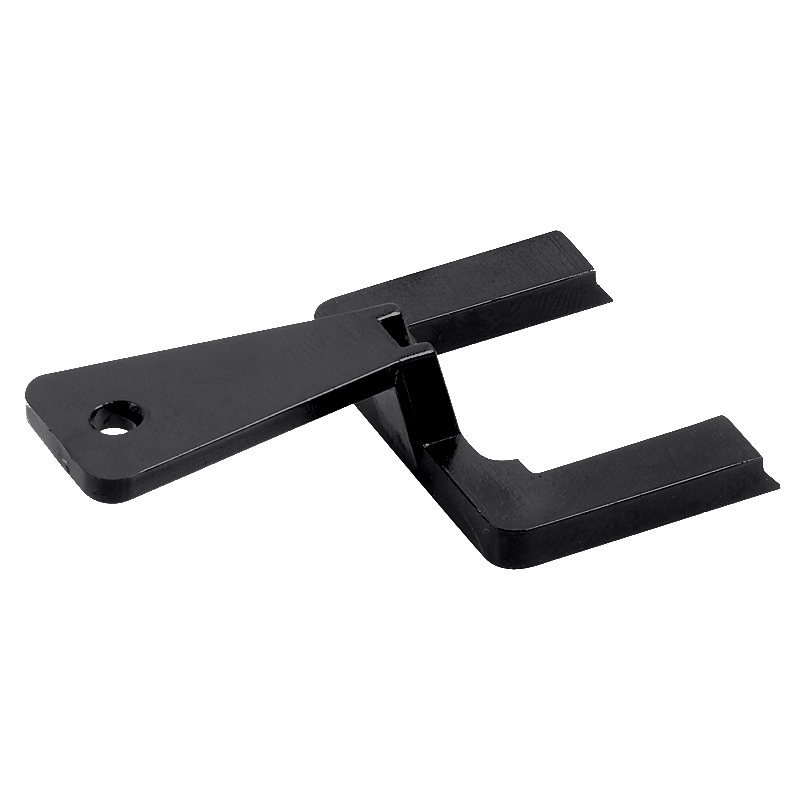 Asec test key for use on the Asec call point. 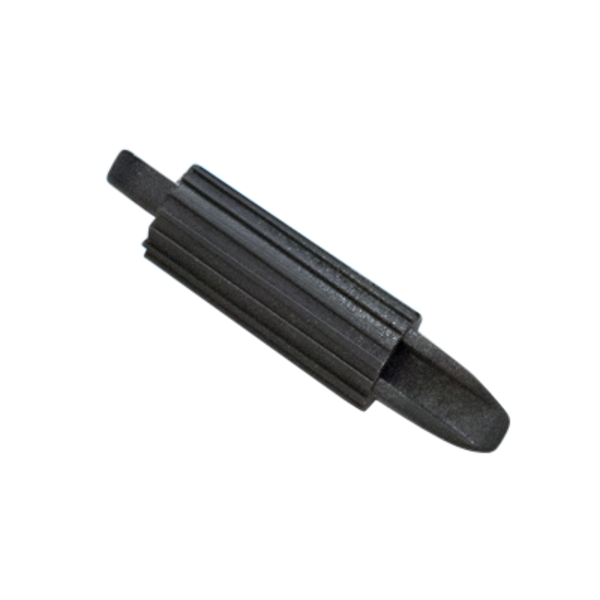 These test keys can be used to reset call points after they have been activated and for regular call point testing to ensure all units are in full working order.